If you’re a tried and true Netflix fan, it’s unlikely that you haven’t heard about the recently released period epic called Marco Polo. Many a network has tried to capture the essence of Polo’s biographical book “The Travels of Marco Polo” before, but this 10-part series is the most visually stunning to date, and the first to use a $90-million dollar budget to bring the story to your living room! While not entirely factually correct according to Polo’s original stories and other historical accounts, the series brings a breadth of reality to the screen that you won’t find in fantasy series’ like Game of Thrones or CGI-heavy favourites like the Spartacus series that aired on Starz a few years back. If you’ve read the largely negative initial reviews about Marco Polo after it first aired on Netflix back on December 12 of last year, I can assure you that while the show may not meet everyone’s tastes, you really need to watch it for yourself before condemning it. Yes, some episodes move a little slowly from an action-lover’s point-of-view, largely because this series is as much a drama as it is an action film. One of the clear goals of this show is to marry historically accurate storytelling of the period with stunning martial arts fighting, and battle scenes that do justice to the Mongol and Chinese history books – much of which was first told by Marco Polo himself back at the tail end of the 13th Century after he returned to his home in Venice, Italy after over 20 years of travel in the region. 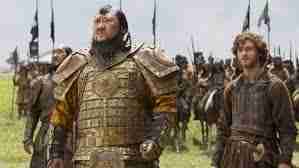 Essentially, we’re put right in the middle of the Mongolian Borjigin clan led by Genghis Khan’s grandson Kublai Khan, founder of the Yuan Dynasty: the only period in Chinese history in which leadership of the entire country was held under the thumb of a foreign party; the Mongolian Empire. Seriously, this series has cult favourite written all over it! 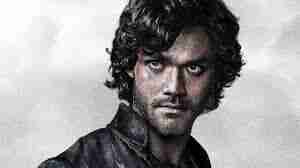 Marco Polo is airing on Netflix right now if you’re feeling way too intrigued to wait another minute longer to watch. For those of you who aren’t yet convinced, here’s a few more detailed reasons why you need to tune in for a good ol 10-hour binge watching session on your next day off. The production crews sure made the most of a bad situation (ie., not being able to film in Mongolia or China). Scenes were shot throughout Venice, Malaysia and Kazakhstan. Much of the Kazakhstan scenery was used to depict the mountainous “land of the blue skies” in Mongolia. Scenes shot within Khan’s imperial court and the Hangzhou Imperial Castle really showcase the elegance that existed in China during this early time period. With $90-million for a budget, production and costume designers from epics like The Last Samurai and Crouching Tiger, Hidden Dragon were pulled into the filming to ensure each backdrop was perfectly shot and each authentic Song Dynasty Era costume was accurate and appealing. So much of history was spawned from this era in wartime China. Gunpowder was used for the first time, as you’ll see in the epic finale battle scene in the series’ first season. European-inspired catapults were used in battle, making impenetrable castle walls no longer a hindrance to the power hungry Mongol army. The experiences of Polo himself which he’d later share in his book, could arguably be attributed to the later discovery of North America even. Everything that happens in this film is the starting point of the decimation of the Silk Road trading route which had connected the east to the west for centuries, leading up to the end of Mongol rule and other significant historical events that made the route impassable for trade purposes after the Yuan Dynasty era. Christopher Columbus was inspired to travel by Polo’s stories and the loss of an easy trade route made it necessary for the Latin colonies to find other means of connecting with the west. “We amped up some of the drama, espionage, intrigue [and] romance, but we have always held true to the signposts, historically, which we took from Marco Polo’s own travels,” the producer told the media. Getting excited yet? Head over to Netflix and sign up to watch Marco Polo right now! This reason to watch might not appeal to all of you reading this. After all, there have only been 3 (correct me if I’m wrong) Chinese actors to ever make a big name for themselves as leading men in American cinema: Bruce Lee, Jackie Chan, and Jet Li. By and large, whether for lack of demand, or flat out trepidation on Hollywood’s part, Asian actors have never had such a large film platform with which to showcase their acting skills. Obviously, the lead character playing Polo, Lorenzo Richelmy is white, as are the actors who briefly appear as his father and uncle. But this is an Asian cast (with a few Middle Eastern actors mixed in for good measure) and all rise to the occasion to impress their audience. One semi-irksome issue you’ll notice right away is that most are obviously UK born actors, given their heavy Brit accents. Benedict Wong, Joan Chen, and Chin Han and a few others all speak with a Chinese accent though. The acting is superb, despite some negative reviewers claiming most of the performances come across as “wooden” or “detached.” This is just simply not the case when you consider that this culture was and still is, very proud and stoic by nature. While at least 50 percent of the dialogue (particularly the scenes featuring Song royalty) comes across as emotionless, the storylines are anything but. This is one area of authenticity Marco Polo offers which I think managed to go straight over the heads of most American, European and UK critics. Come on guys, what a culture shock it must be to see bona-fide Asian culture featured on film when you’ve never experienced it first hand! Each main character portrays their role to utter perfection. Much like any good film should do, you’ll feel an emotional connection with all of them; good guys and bad. All show outward empathy for both their friends and enemies alike. 4. 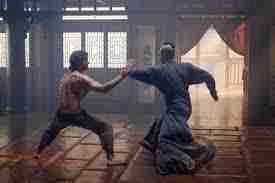 Marco Polo Offers Some Cool Kung Fu Cliches! I’ll admit that this element of the series really surprised me, and in a good way at that! Marco Polo is immediately thrust into the world of Kung Fu after being offered up as a pawn from his father to the Great Khan, in order to cement the Polo family’s trading privileges on the Silk Road. A wise old blind man called “Hundred Eyes” is charged with teaching him the martial arts. The scenes are epically shot, and other than a couple of suspect scenes, I’d say there is little if any obvious CGI in the film. Punches, kicks, swords, staffs, knives – all are used extensively in exciting battle scenes and dojo training sequences. Did I mention the secret sniper-killer Samurais? I’d be getting dangerously close to spoiler territory if I got to talking about the various female leads in the film and how powerfully they project their opinions and control their men. Many of us from North America and even many parts of Europe mistakenly stereotype Asian women to be weak and submissive to their men. However, this beautifully directed Marco Polo series on Netflix does a pretty handy job of showing that Mongolian women in particular, control much of the behind-the-scenes political decisions taking place. This series biopic at first seems like it will be a story based on one famous adventurer, but you’ll quickly find that Marco Polo has many layers that are well worth the watch. Read how you can get the fantastic Netflix free trial and start watching it right now.